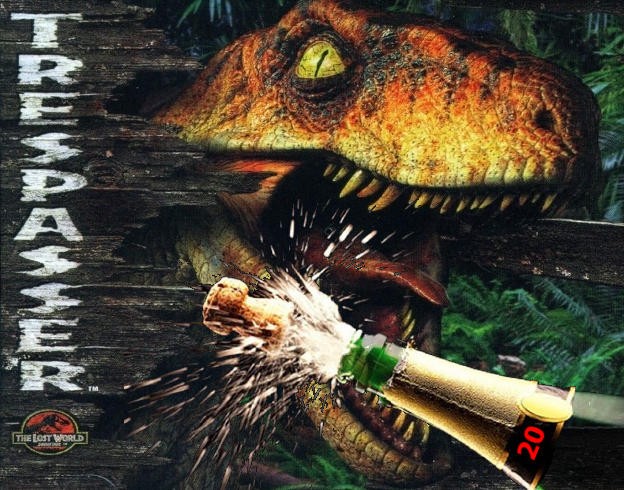 TresCom Forums • View topic - Happy 20th Anniversary Trespasser! Post subject: Happy 20th Anniversary Trespasser! 20 years ago, on October 28, 1998 Trespasser was release in stores. 20 years later, the community is still here. Post subject: Re: Happy 20th Anniversary Trespasser! Whoa a whole book, that's some ongoing dedication. 20 years and the game still hasn't gotten old. I wonder whether in another ten years we'll all still be kicking strong - my guess is absolutely. Thanks for the post, Tatu. I had just posted about it here, too! Happy anniversary, everybody! Hope you enjoy the updated book (a secret: it had actually been done MONTHS ago, but I had totally forgotten about it!)! For the record, it uses the same artwork also used in the new video edition last year, which you can watch here. I may not work with Trespasser any more, yet it will always have a special place in my heart. Good to see ya chime in Awesome. 20 Years Of Awesomeness!!! There still isn't a Jurassic Park open sandbox game to match Jurassic Park Trespasser. The mods and maps on this site make a great game even better! Thank you for keeping this wonderful game alive! Also Happy New Year! Lets make 2019 a great year! Hammond: Our lives are in your hands and you have butterfingers? Nedry: AH AH AH you didn't say the magic word! SNICKERS!